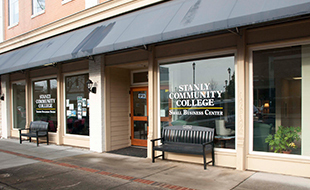 Thank you in advance for your interest in the Radiography program here at Stanly Community College. The following list of questions has been compiled to help answer common questions related to the radiography program admission process; however, this list of questions is not meant to take the place of collaborating with our Admissions staff or Success Coaches/Advisors. Who is my Success Coach/Advisor? How do I apply to the Radiography program? 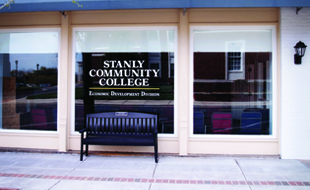 Apply online by visiting https://www.stanly.edu/future-students/admissions. The application deadline for the radiography program is February 15 for new applicants seeking to enter the program. Classes begin in August. What are the requirements for admission to the Radiography program? May I take general education courses before being admitted into the radiography program? Yes. 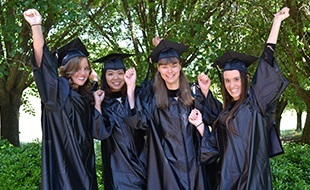 Although not required, students are strongly encouraged to complete as many general education courses as possible prior to admission to the program. What is the Test of Essential Academic Skills (TEAS), and when am I eligible to take it? The Test of Essential Academic Skills (TEAS) is designed specifically to assess the student’s preparedness for entering the health sciences fields. Applicants of the radiography program who have completed steps 1 and 4 of the admissions checklist will be invited by admissions to take the TEAS exam. May I take the TEAS elsewhere and have the results submitted to SCC? No. The TEAS exam must be taken at Stanly Community College. This ensures all applicants are held to the same testing standards..
How long is my TEAS score valid? The score is good for 2 years, and it must be the most current version given by the college. May I take the TEAS more than once? When do I find out if I have been accepted to the program? Admissions will notify applicants by mailed letter in June. Applicants who are not accepted will be placed on an alternate list and will also receive a mailed letter. Am I required to complete a drug test for the program? Yes. Clinical facilities require all radiography students complete a drug screening. The college does not view the drug screening results, nor give advice related to the results. Being accepted to the program does not mean a student is automatically cleared to attend the clinical rotations. If the clinical site denies a student clinical privileges, that student is withdrawn from the program. Am I required to complete a criminal background check as part of the admission requirements? Yes. Clinical facilities require all radiography students complete a criminal background check. The college does not view the criminal background check results, nor give advice related to the results. Being accepted to the program does not mean a student is automatically cleared to attend the clinical sites. If the clinical site denies a student clinical privileges, that student is withdrawn from the program. Do I need clinical uniforms and equipment before the program starts? No. During a mandatory orientation session prior to your first day of class, faculty will discuss clinical uniforms and additional requirements. The items must be purchased at a retailer given to you by your instructors. Most students may expect to spend between $7,000 and $8,000 for the entire two-year program. Can I work while enrolled in the radiography program? It is recommended that students not work while enrolled in the program due to the number of scheduled hours in class, lab, and clinical rotations. However, some students choose to work part-time or as needed while enrolled in the program. Is the radiography program accredited? Yes. The Radiography Program is accredited by the Joint Review Committee on Education in Radiologic Technology (JRCERT).